Everyone needs a little hope in their lives, but especially parents that have suffered the loss of a pregnancy or infant. It’s an especially hard loss because people don’t talk about it. After losing four pregnancies, PWC Mom Robin began a support group in Vermont for other parents dealing with the loss of a pre-born child. Now in our area, Robin has continued her passion for helping other parents cope with their loss. There’s no membership or expectation, come as you are when you need to. Robin says for a lot of people that’s the first few months and the anniversary of the birth or loss of their child. For others, it’s just once or twice. For some, they just keep coming. 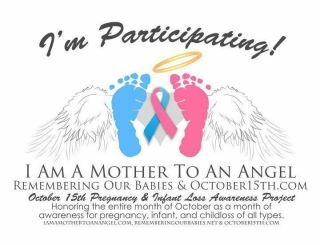 Pregnant moms are welcome- the moms in the group know that being pregnant after losing a child is difficult, too. HOPE means Helping Other Parents Endure, and Meetings are the 3rd Tuesday of each month from 7-8:30pm in the Teen Sunday School room at Church of the Word in Gainesville. those who have felt such a loss through someone close to them, are welcome to participate. welcome to attend regularly or whenever you feel the need for support.